In bottom-up synthetic biology, researchers try to build a minimal cell from scratch and from well-defined components. Giant lipid vesicles are frequently used to mimick a cell’s membrane. As an intern/master student in our Physics of Cellular Interactions group headed by Dr. Kristina Ganzinger, you will “breath life’ into these vesicles by designing and building a device that can make lipid vesicles of defined content, for example a minimal cytoskeleton. This is a technical project that will lay the foundation for many studies to come, since the reliable fabrication of these function vesicles remains a major bottle-neck for the research in this field. In this project, you will design and build a device which makes lipid vesicles using the cDICE method . In this method, vesicles are made by continuously dripping droplets off a capillary and simultaneously forcing their passage through a second oil-water interface using a centrifugal force. Your project will involve setting up the device as well as optimizing and improving its performance with newly designed, 3D printed parts to increase experimental throughput. Once built, you will encapsulate cytoskeletal proteins in these vesicles, image them by fluorescence microscopy and analyse the image data using automated scripts. Our group focuses specifically on processes that are critical to the immune system. Inspired by previous research projects that have shown the importance of spatiotemporal constraints for T cell activation (Nat Immun 2016), we investigate the interplay of membrane topography and signaling This means exploring how cells shape their membranes not only in response to signals, but also to detect and discriminate them. We address these questions mainly by reconstituting signaling processes in model-membrane systems (“artificial cells”). By combining this synthetic biology approach with tools from single-molecule biophysics and microfabrication (JACS 2013, PloS One 2013, Nat Comm 2018), we can study signaling in isolation from cellular cross-talk. You have a Bachelors degree in physics, chemistry or biology and participate in a Master study in one of these areas. Experience with handling lipids, microfluidics or 3D printing/CAD design would be an advantage. You should like the idea of working in a collaborative, ambitious and international environment. Formalities: the internship has to be a mandatory part of your curriculum. You have a nationality of an EU-member state and/or you are a student at a Netherlands University. You must be available for at least 5 months. 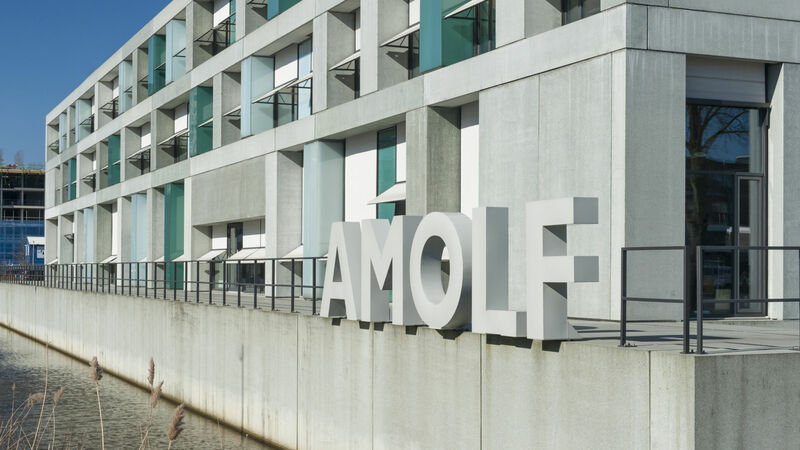 In the beginning of your placement, along with your supervisor at AMOLF, you will make a step-by-step plan in which working conditions and supervision will be agreed on.